Have you ever chased a butterfly or caught a lady beetle? The 4-H Entomology Project allows you to study and learn about insects, the largest group of animals on earth. This project will introduce you to the world of insects, show you how to collect and display insects you find, and even show you how to do explore forensic entomology by completing insect research and using the scientific method. Here's What You Can Learn . . . . 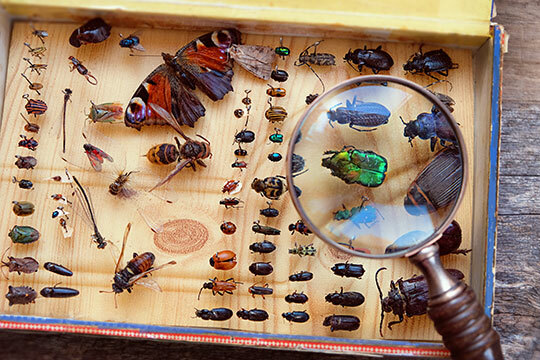 Learn to identify insect parts and various shapes, sizes and colors of insects. Match an insect’s form to its function and explore its adaptations. - Discover insect behaviors of jumping, flying, walking and other behaviors, comparing them to human abilities. - Explore insect biodiversity by collecting various insects using different traps. Learn about invasive insect species and the reasons for their survival success.